When a man starts to believe he’s losing his hair, his mind — temporarily at least — may not be far behind. Going bald causes a man’s mind to swirl into a singular focus about that hair loss; they stress and fret over it to the point of obsession. Balding affects every aspect of a man’s life. His interpersonal relationships take a hit as a direct result of the blow to his personal image and self-esteem. ← Losing Hair Before I’m 21!! Hey Buddy!, I found this information for you: "Nine Out Of 10 Balding Men Cite Hair Loss As Their No. 1 Concern". 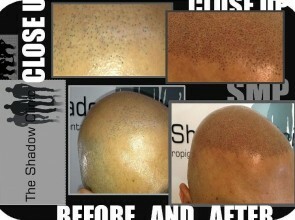 Here is the website link: http://www.theshadowclinic.co.nz/nine-out-of-10-balding-men-cite-hair-loss-as-their-no-1-concern/. Thank you.